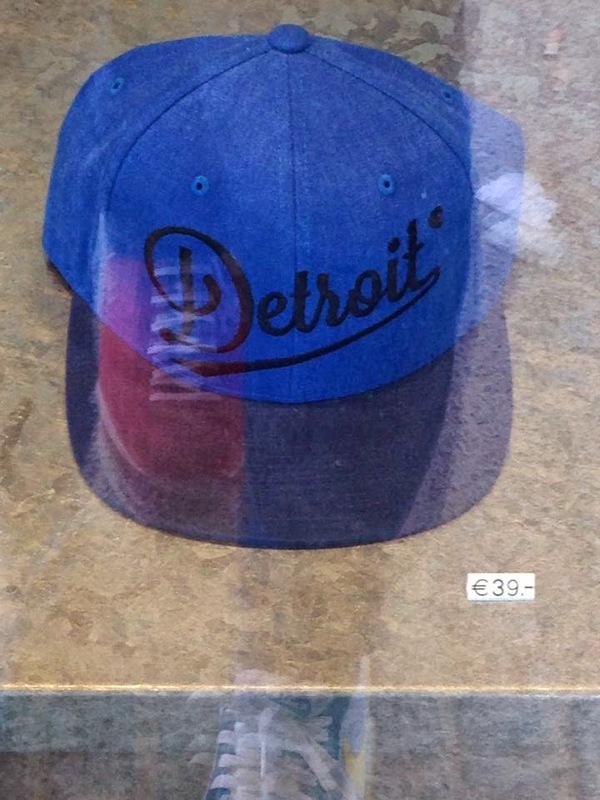 A good friend of me and EJ's, who is living in Berlin, posted the above picture to Facebook last night with the caption "Carhartt hat for sale in Berlin's new super trendy mall c. $50." 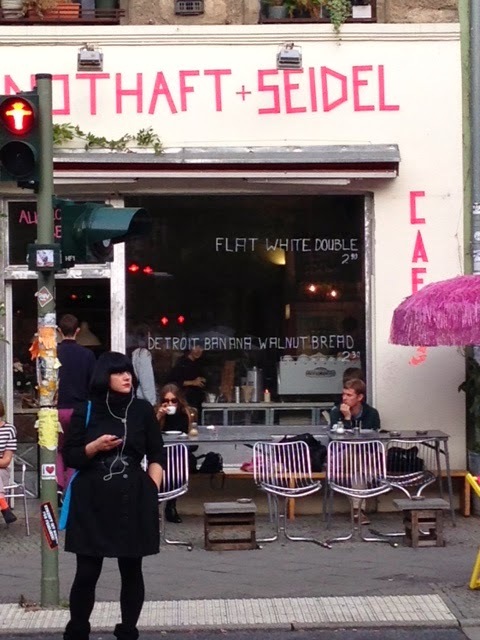 When I asked her if was ok for me to post the Carhartt hat picture, she sent along the following picture of a bakery that is selling "Detroit Banana Walnut Bread:"
Went to chat with the owner about the "Detroit" bread, turns out he's from Madrid by thinks Detroit makes the bread sound cool.